I'm not really a 'posh' person (in fact, I would hardly ever say that I use the word 'posh' - unless it's for a Spice Girls reference ;)), and for some reason the word 'pâté' makes me think of that (along with luxurious and expensive). Or, maybe it's because of the accents. That was until I created this simple, inexpensive pâté for the non-posh (aka me and my dollah budget), but I didn't skimp on the luxury. It still tastes like it should be served in a castle. But, shouldn't everything?! Can be used for/on: crackers, wraps, veggies to dip in, sandwiches. Makes: enough for approx. 3 wraps (or at least that's what this batch was used for). Place all ingredients in a (mini) food processor and process until chunky. I loved it in a wrap with other veggies (cucumber, shredded carrots, tomatoes, lettuce and avocado) or simply on cucumber slices. It literally takes less than 5 minutes to make. And even better if you have a mini-food processor because the clean up is minimal. I love simple things like this when you're on the go or lazy…mainly the lazy one for me ;)! It's been great for summer especially because I was able to use the parsley and garlic scapes from my CSA pickup to make this. 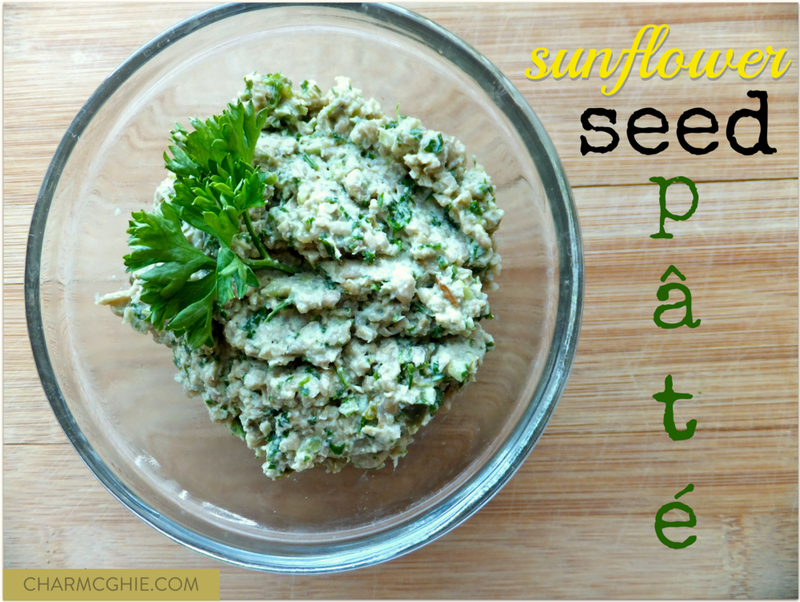 Those are reasons enough to get making and eating this pâté, don't you think?! Question: What are your favourite ingredients to put in a wrap right now? !